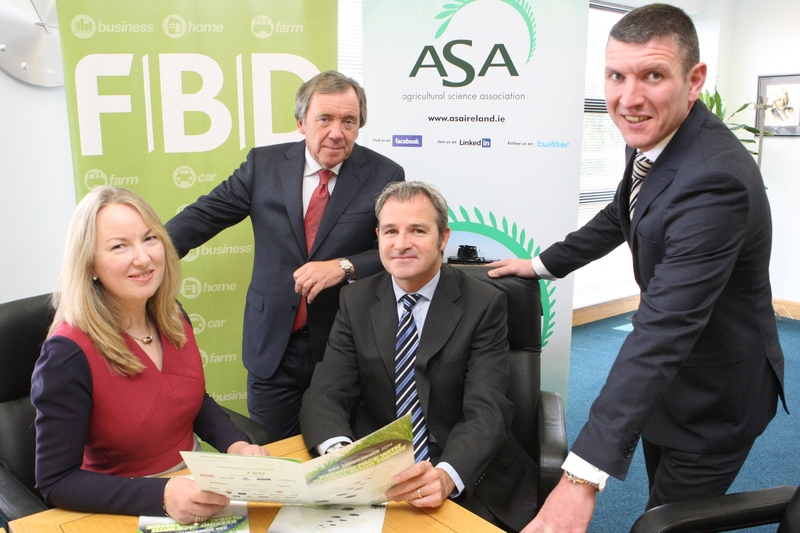 Announcing details of ASA Conference are: Siobhán Talbot, Managing Director Glanbia and Larry Murrin, Chief Executive Dawn Farm Foods, both conference speakers, with Andrew Langford, Chief Executive FBD, conference partner and Seán Farrell, ASA President. Siobhán Talbot, Managing Director Glanbia and Dr Juergen Voegele, Agriculture Director with the World Bank in Washington are among the high-powered panel that will address ASA Conference 2014 in the Killashee House Hotel, Naas on Friday, September 12. The conference on ‘Keeping Pace with Global Food Trends’ will also hear the views of Cork-born Jerry O’Callaghan from Brazil-based JBS, the world’s largest meat company with annual sales in excess of €30billion. He will be joined by Dawn Meats chief executive Niall Browne in what promises to be a topical debate on local and global beef challenges. Thomas Trimble is travelling from Riyadh and will outline the success story of Almarai, the world’s largest integrated dairy business which produces over 1 billion litres of milk from 75,000 cows in the Saudi Arabian desert. Professor Mark Ferguson, Chief Executive Science Foundation Ireland and chief scientific adviser to the government, will lead a debate on innovation in the agri-food sector, which will involve contributions from Larry Murrin, Chief Executive Dawn Farm Foods, Dr Frank O’Mara, Teagasc Director of Research and Dr Julian Little from Bayer CropScience in the UK. The conference will also examine the challenges facing Teagasc in providing advisory services to farmers involved in the new GLAS with a panel involving Dr Jim Kinsella, UCD, Dr Tom Kelly, Teagasc, IFA President Eddie Downey and agricultural consultant Breián Carroll.